If you want to see the pure essence of the game of baseball captured on film then you must see Spaceman: A Baseball Odyssey. 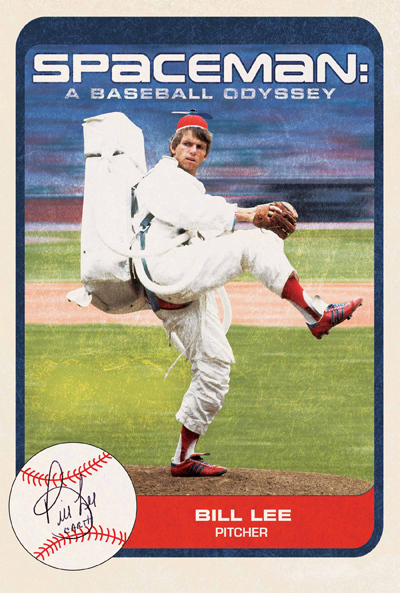 Bill “Spaceman” Lee, for those of you who don’t know, was the definition of a crafty lefthanded pitcher who played for the Boston Red Sox and the Montreal Expos. As a pitcher he threw everything, including the kitchen sink: a fastball, curveball, slider, changeup, knuckler, screwball and eephus pitch. He was also a notorious Yankee hater and a Yankee killer, going 12-5 against New York in his career. 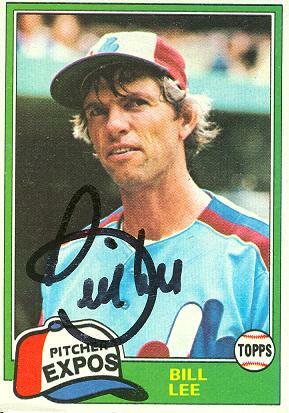 Bill Lee was traded from the Red Sox to the Montreal Expos mostly due to the fact that he had a personality conflict with then-manager Don Zimmer. He was successful in Montreal and enjoyed playing in a city where his free-spirit was embraced. 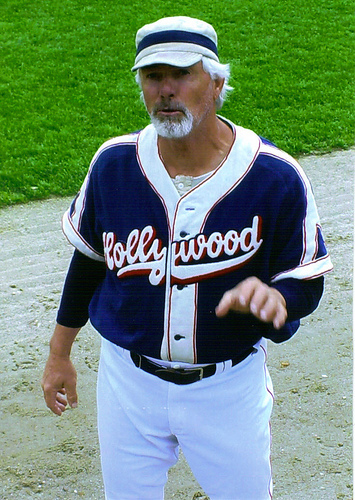 However, when leadoff hitter Rodney Scott was released from the team and made a scapegoat for the team’s struggles, Bill Lee got drunk and refused to pitch as a protest for the way the team treated Scott. Lee was subsequently released and blackballed from the game of baseball. The game gave up on me but I never gave up the game. Lee then played 4 years for a senior team in Moncton, New Brunswick and has roamed the globe ever since looking for opportunities to play the game he loves. The premise of the film is that a senior men’s team from San Diego has planned a barnstorming baseball trip to Cuba. The rub is that Bill Lee will be accompanying them as a starting pitcher. Cuba is by far the most pristine place I’ve ever been to on the planet & I hope we don’t screw it up. There are no boundaries here. The people are friendly, everybody loves one another, it is just the greatest place to be. The film crew then follows this rag tag old timers team from San Diego on a 3-game set against Cuban rec league teams in Havana and Pinar Del Rio. 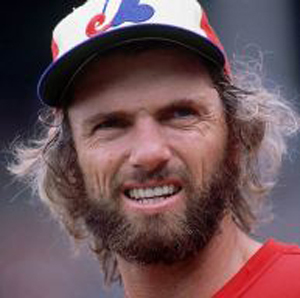 In Cuba, Bill Lee is known as “El Hombre de Espacio.” He seems as at home as Fidel Castro playing for Los Barbudos. In fact he would have been a great addition to the team. He relishes the competition and the opportunity to play with people from a culture as in love with the purity of the game as he is. His affection for the Cuban people and their appreciation for him shine throughout the film. We feel it in our hearts and in our blood, we have it. Like the air we breathe – we can’t be without it. 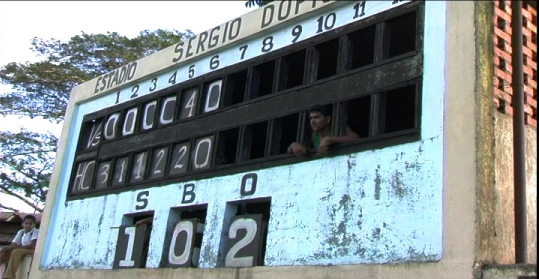 Cuba can not survive without baseball. It is like being without music. For me, baseball is passion. I can watch the kids play baseball all day. If I can still walk, if I can still move, if I can still see.. I will play baseball. The first game is in Havana vs the retired steel workers. It really is baseball stripped down to its core. Goats, pigs and roosters roam beyond the outfield fence. Bill Lee sports his old Montreal Expos hat and still throws a big looping curve as well as his eephus pitch. The Cubans can tell he was once a big leaguer but know there is something wrong with the 58 year old’s shoulder. Game 2 features a team of retired baseball trainers and has one ringer – Julio Romero from the Cuban National Team of the 1980’s. 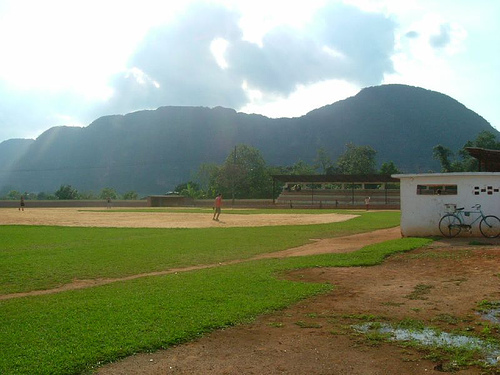 The 3rd game of the series is played in Vinales, Pinar Del Rio – a majestic ball field in paradise. The people down here have a good foundation. They have education, they have health services. They have a nice conscience where they take care of one another. It’ll be fine. It’ll be better than fine. This will be an ideal place. This will be the jewel of the Caribbean again. All this time I thought I was gripping the baseball but actually it was gripping me.